J Mascis’ efforts in Dinosaur Jr over the past twenty-five years have been monumental. Yet whilst the slacker shaman busied himself shredding the minds and perforating the ears of grateful fanatics worldwide, it is his band mate and Sebadoh ringmaster Low Barlow who is renowned for writing the eloquent ballads. What with the thunderous rollercoaster of Dinosaur Jr’s two reunion albums and quaking live shows, it seemed likely to remain that way. 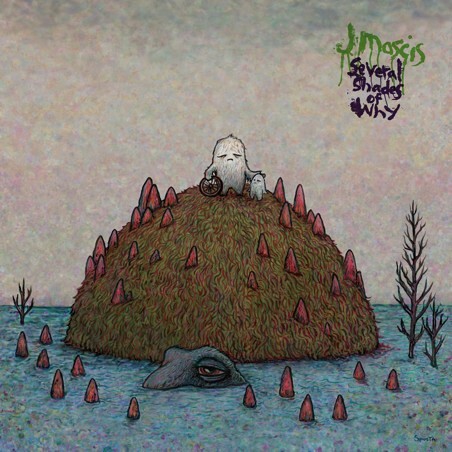 But Mascis has always been full of surprises, and with Several Shades Of Why, he delivers an album that takes the plug out, instead ramping up the pathos, fragility and elegance, in doing so creating an achingly beautiful gem. Listen To Me immediately throws you – Mascis standing on his own, his questioning vocals laid bare without the rambunctious rhythms of his day band. In fact it’s the notable absence of drums that is most prevalent here, placing all the emphasis on Mascis, his iconic vocals, and that acoustic guitar, which he wields with the same level of proficiency, bravado and nuance as his electric counterpart. The beautiful title track is all melancholy, heightened by some elegant picking and the haunting violin of Sophie Trudeau (of A Silver Mt Zion fame), whilst the rambling Not Enough has some jovial tambourine and there is a long list of guest backing vocalists such as Ben Bridwell, Kevin Drew, and Kurt Vile. It is savvy vocal interplay that elevates the toe-tapping sweetness of Not Enough, or the haunting catch-in-your-throat Very Nervous And Love. However these collaborations never take away the focus of Mascis’ innate brilliance at curling words, carving pop hooks, and even a beautifully iconic electric solo explosion in back porch crooner Is It Done? The influences of other troubadours such as Nick Drake or Springsteen lurk in the shadows, but this is decidedly Mascis’ show, one which we can only dream he will continue to bring to us for another 25 years to come. Several Shades Of Why is out through Sub Pop in March. And also check out this absolutely amazing video interview with Mascis!